The Fairtrade stall is open in the Parish Hall on the first weekend of every month after both the Saturday Vigil and the Sunday mass. Many of us, aware of how lucky we are to live our comfortable existence would like to make a difference to the lives of people across the world who live in grinding poverty. However, we do not know where to start. Fairtrade offers an easy and practical way in which we can help to improve the lives of millions of poor workers. It enables us to buy fairly traded goods. 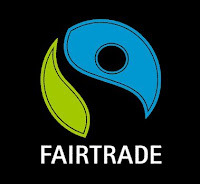 Buying Fairtrade means that you are guaranteed that the person who grew the coffee and cocoa beans, tea leaves and sugar cane etc get a better deal for his or her produce benefitting, individuals, families and communities. Because you buy fairly traded goods children can go to school, wells can be dug, hospitals built, teachers, doctors and nurses paid while the earth is worked in a sustainable way. Please support us. Many small actions really can make a difference to people in need.